Recently, I came across a sentence in one of those de-cluttering blogs which really related. If you don’t like the item, but don’t know what you would like better, make a note of it and keep your eyes out for a replacement. That message I think was made for me. Maybe for you too? You see, I don’t really need another table lamp. I mean, I have one and it’s the right height and all, and I already own it, so why would I buy another? The problem is, I don’t really like the lamp I have next to that chair. I just don’t know what I’d like better. What a perfect excuse to stop at every resale shop I pass. I don’t know what I want… but I’ll know it when I see it. To keep their favorites as bright as the first time they wore them, add a cup of white vinegar to your rinse cycle once in a while. Vinegar cuts soap residue which dulls and grays colors. Provide your children’s dirty-clothes hamper with spring-type clothes pins. Ask the kids to tag stains to be pre-treated before washing. Collar stains are easily removed with shampoo. Use that brand no one liked! Cut your mending-pile work by dabbing clear nail polish over the threads that hold buttons on. Prevents wear that leads to lost buttons. Remove drawstrings on hoods that can present a tangling mishap. And best tip of all: shop consignment and resale for your children’s wardrobe! If they’re growing fast, your budget will be able to keep up. Shopping at a Professional Resale Shop means more money for that college fund! Collecting: More fun than… just about anything! What do you collect? Whether it’s art pottery or souvenir spoons, collecting can be a way to have fun, make family memories, or even invest in the antiques of the future! Choosing what to collect can be as simple as looking around your home. What gives you a warm feeling every time you see it? Maybe it’s your vintage wooden chairs gathered around your kitchen table, or perhaps you love the botanical prints on your family room wall. Don’t be afraid to mix the whimsical with the good. Who says it has to all be collector’s items? 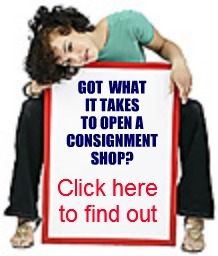 An appealing addition found at a rummage sale can enhance and extend your collection. Display your items in cycles. Choose a favorite piece to highlight monthly. You’ll enjoy your selections more when pieces are rearranged periodically. The shop might even run across something you’ve wanted for years! 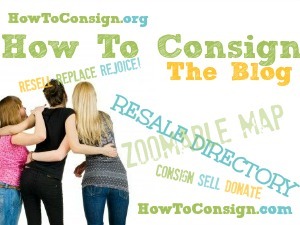 See hundreds of wonderful collecting ideas on the HowToConsign Pinterest boards. 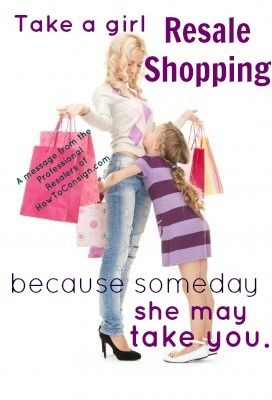 Is your child is too tired or hungry to shop? Or maybe you are! After nap time is best for toddlers. If your older child has had a tough day at school, it might be better to wait until another day. Bring something from home to keep your child amused. A favorite toy or book can keep him occupied and happy while you comb the racks. A small snack (Cheerios or raisins seem to be the most popular) will buy time for you, too. Invite along an older child who can keep the littlest ones entertained. Hold your child’s hand. A store is nowhere to let a child roam unattended. Even older children should be in sight constantly. Don’t overstay your child’s patience. If she starts fussing, you know it’s time to leave. 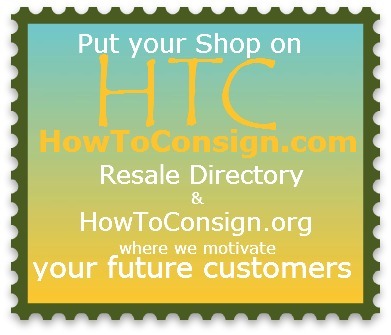 We resale shopkeepers will be happy to hold your selections until you return the next day. Never leave your child in the car, even for a minute. Tragedies can happen in the blink of an eye.